Court also lamented out that, “We also find that not a single State or Union Territory has bothered to prepare a Plan of Action and bring it to our notice or to the notice of the learned Amicus. Consequently, we are left with no option but to direct the States and the Inspector General of Prisons to prepare a Plan of Action as already directed on 6th May, 2016 for reducing the prison population. In this context we may mention that the learned Amicus has informed us on the basis of affidavits filed by some of the States, that there are proposals for constructing additional barracks or jails but these appear to be ad hoc proposals with no time limit specified for completion and in some cases it is not clear whether provision has been made for providing resources for the construction. A viable Plan of Action should be prepared within the next six months and in any event by 31st March, 2017”. In this context, it is worth to mention here the history and development of imprisonment as a punishment. In ancient and medieval societies, imprisonment was seldom used as a punishment. It was adopted by the church in the 13th century and used quite extensively because they were not permitted by law to kill offenders and partly because they believed isolation from others was reformative. Then in the 16th century, common jails and special prisons for increasingly larger proportions of criminals were developed. By the early 19th century, imprisonment came to be the principal method of punishing serious criminals. Two essential ideas are included in the concept of punishment as an instrument of public justice. First, it is deliberately inflicted by officials of the State as an individual who is regarded as subject to the laws of the State. Killing enemies and destroying their property during time of war is not punishment, for such actions are directed against people who are not subjects of the State. Secondly, punishment involves pain or suffering produced by design and justified by some value that the suffering is assumed to have. If the pain or suffering is mere accidental, then it is not punishment. A surgical operation performed on a prisoner to correct a physical defect is not punishment, for the pain is not regarded as valuable or desirable. Similarly, the confinement of a psychotic person usually causes suffering, but that suffering is not punishment. All these assumptions are made about the value of the physical pain or psychological suffering imposed on criminals. Indeed, pain and suffering are deliberately imposed on criminals for these reasons. (Sutherland, Principles of Criminology). “Prison Manuals are mostly callous colonial compilations and even their copies are mostly beyond the prisoner's ken. Punishments in civilized societies must not degrade human dignity or wound flesh and spirit. The cardinal sentencing goal is correctional, changing the consciousness of the criminal to ensure social defense. Where prison treatment abandons the reformatory purpose and practicesdehumanizing techniques it is wasteful, counter-productive and irrational hovering on the hostile brink of unreasonableness. (para 203). “Prisoners are peculiarly and doubly handicapped. For one thing, most prisoners belong to the weaker segment, in poverty, literacy, social station and the like. Secondly, the prison house is a walled-off world which is incommunicado for the human world, with the result that the bonded inmates are invisible, their voices inaudible, their injustices unheeded. So it is imperative, as implicit in Art.21 that life or liberty shall not be kept in suspended animation or congealed into animal existence without the freshing flow of air, procedure”(Sunil Batra). The prison system itself was originally an experiment, tried out first in America as substitute for such primary methods of punishment as execution, mutilation, flogging, burning and other corporal punishment. In America, the life in prisons was hard, unbearable and painful till Penn’s charter of 1682, which was drawn to bring about reform in the prison system. Like USA, the prisoners in England were also treated brutally and punishments were barbarous in nature. The Prison Act of 1890 provided for the introduction of the first and second divisions for first offenders. Later, the attempt to classify the prison in separate institutions was made. The system of classifications of prisoners was introduced in England also to deter criminals from crime and partly to enable the authorities to individualize the prisoners. The prisons in India were also in terrible condition like UK or USA as deterrence was the only aim of a prison sentence in those days. The history of prison reform starts with the appointment of a Committee in 1836, of which Macaulay was a member. A clear departure from the deterrent theory was made for the first time when the principle of reformation of the convict was highlighted by the Jail Committee of 1919-20, which was strongly of the opinion that definite steps should be taken by the legislature to prohibit short sentences of imprisonment. The committee in its report observed, “we believe that a far better result will be obtained by prohibiting short sentences thereby leaving the power to inflict them still in existence…… and we do not anticipate that the Courts will meet with any difficulty in finding substitute for short terms of imprisonment”. (Criminology and Penology, JPS Sirodhi). Confiscation of property and imposition of fines have been reaction to crime in most literate societies. A member of an early, non-literate society who was injured by another person might claim damages, the amount depending on the injury done and the social position of the injured party. Then the King claimed a part of this payment or an additional payment for the participation of the State in the trial and for the injury done to the State by the disturbance of peace. About 12th century, the victim’s share began to decrease and the King’s share began to increase until finally the King took the entire payment. These payments became one of the principal sources of state revenue and imprisonment was used at this time largely as a means of compelling defendants to pay the fines. The use of financial penalties began to increase at the end of 19th century and continued in to the twentieth. In Germany, fines were 22% of all penalties imposed in 1882 compared to 55% in 1934; In France 36% in 1900 but 48% in 1934; In Belgium 48% in 1905 but 67% in 1933. Fines represented about 95% of all sentences imposed in Sweden in 1953. In Europe fines are employed more extensively and of all adults convicted of non-traffic offences in 1979, 75% were fined in West Germany, 73% in England and Wales and 69% in Sweden. Whereas in United States, Courts are generally authorized to impose fines within maximum and minimum limits set by the legislatures. Sometimes only the maximum is fixed and sometimes only the minimum and some states also provide that fines “shall not be excessive”. A number of European and Latin American countries have instituted a “day fine” system, in which the amount of fine is adjusted to the seriousness of the offence and the financial means of the offender in order to equalize its effect on the rich and poor. When a fine is imposed, it’s a declaration that neither the safety of the community nor the reformation of the offender and that the assumed values of punishment can be accomplished without imprisonment. Imprisonment for failure to pay fine is therefore only a means of collecting debt owed to the state, (Sutherland, Principles of Criminology). In Adamji Umar Dalal v. State (AIR 1952 SC 14), Supreme Court observed, that, “the determination of the right measure of punishment is often a point of great difficulty and no hard and fast rule can be laid down, it being a matter of discretion which is to be guided by a variety of considerations, but the courts has always to bear in mind the necessity of proportion between an offence and the penalty. In imposing a fine it is necessary to have as much regard to the pecuniary circumstances of the accused persons to the character and magnitude of the offence, and where a substantial term of imprisonment is inflicted, an excessive fine should not accompany it except in exceptional cases…… It is no doubt true that the offence of black marketing is very generally prevalent in this country at the present moment and when it is brought home against a person, no leniency in the matter of sentence should be shown and a certain amount of severity may be very appropriate and even called for”. The fine pronounced in a judgment becomes a debt in favour of the State or Crown in England. In H.M. Treasury v. Harris (1957)2 All E R 455, “an interesting question arose as to whether such a debt was personal to the offender so that it was extinguished by his death or it was capable of being recovered from his estate after his death. It was held that the debt was not extinguished by the death and was accordingly recoverable from his estate in the suit filed by the crown’’. In R.v. Lewis (1956 Cri.L.R 121), the Court of Criminal Appeal observed, “Once the Court has decided that a fine is proper then there are obviously in each case many factors which may follow, but amongst the factors which the Court must consider one can mention first the amount involved in the fraud….. secondly, the amount obtained out of it by the accused if known…. Thirdly, his capacity to pay. In view of this Court, it is wrong in principle to impose such a fine as may be utterly beyond the accused’s means and will only result in the prison sentence which mentioned at the time of the trial as the sanction for failure to pay”. In the Indian Penal Code (Act No.45 of 1860), dated 06-10-1860, there are 58 sections which deals with fine amount which ranges as “………. up to Rs.10/-; ………. up to Rs.100/-; ……….up to Rs.200/-;………. up to Rs.500/-;……….up to Rs.1000/-; or ………. up to Rs.2,000/-”. Since 1860, during a period of 156 years, the money value has gone down considerably; per capita income of our country has also increased and thereby the capacity of the people to remit the fine amount also increased. But there was no corresponding increase in the fine amounts prescribed in various sections of IPC and hence Rs.10/-, Rs.100/-, Rs.200/- etc. remain as it was in 1860. To call a fine as punishment, it should generate certain degree of discomfort which evokes a feeling that he is adversely affected materially. But by parting with Rs.10/-, Rs.100/- or Rs.200/- today, nobody will feel the pain or discomfort, so it will not give the desired result. Hence corresponding changes are required in the relevant provisions of Indian Penal Code dealing with fine amount. 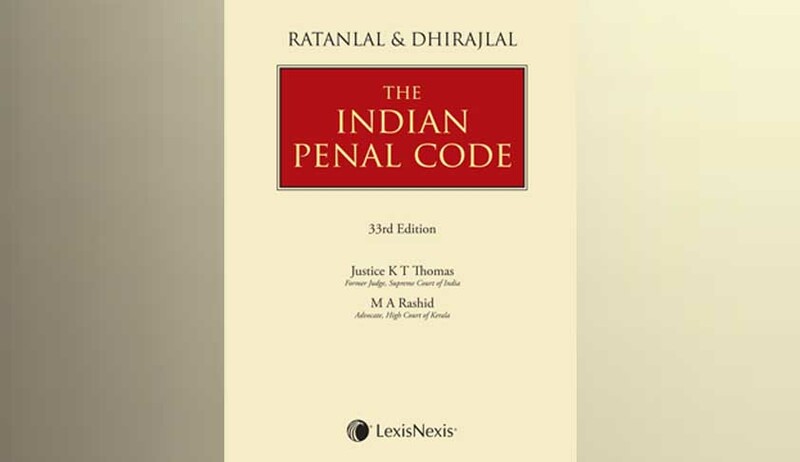 Epilogue: The author has submitted a detailed memorandum highlighting the need to amend the fine amounts in IPC to the Ministry of Law and Justice way back in May 2011, for which they replied that the said request was handed over to the Home Ministry as the “subject matter relating to Indian Penal Code and enhancement of fine thereunder falls under the administrative ambit of the Ministry of Home Affairs”. Later, the Ministry of Home Affairs replied positively and informed that, “Amendment to law is a continuous process and is done on the basis of recommendation of the Law Commission of India, various Committees, Commissions, Court Orders and other stake holders and also ensured that “need for IPC fine amount enhancement has been noted and will be given due consideration when the next batch of amendment to IPC is taken up”.Meanwhile the same was brought to the notice of Law Commission also. Repeated representations in 2012 and in 2014 to the Prime Minister’s office also received similar replies. But it is quite disappointing to state that even after five and half years of intermittent communication also, the fine amounts prescribed in the Indian Penal Code remains the same as it was when enacted, totally unaffected by inflation or decrease in the rupee value. May be because, Lord Macaulay failed to add a proviso to the effect that ‘the Central Government may keeping in view the cost of living by notification in the official Gazette from time to time amend the Fine amounts prescribed in the Code’.